Enjoy hand-picked and handmade goods in the bakery. The shelves at Sea Wolf feature artists and makers from far and wide: pottery by Tesha Karpoff, North African spice blends, Moroccan olive oil, USA-made wool hats, and basic items for at-home bread baking. Check out some of the featured items below by clicking on the links. 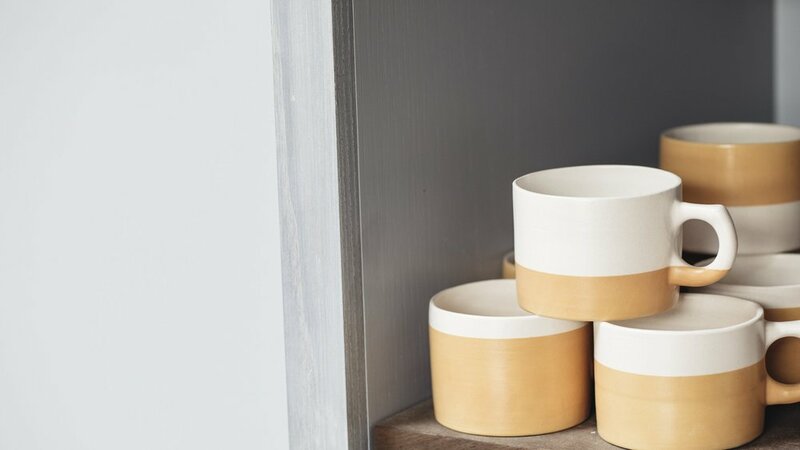 Tesha Karpoff’s delicate yet bold ceramics lend cheery color to the whitewashed bakery. Using only honey as a sweetener, V Smiley perfects the art of berry jam. 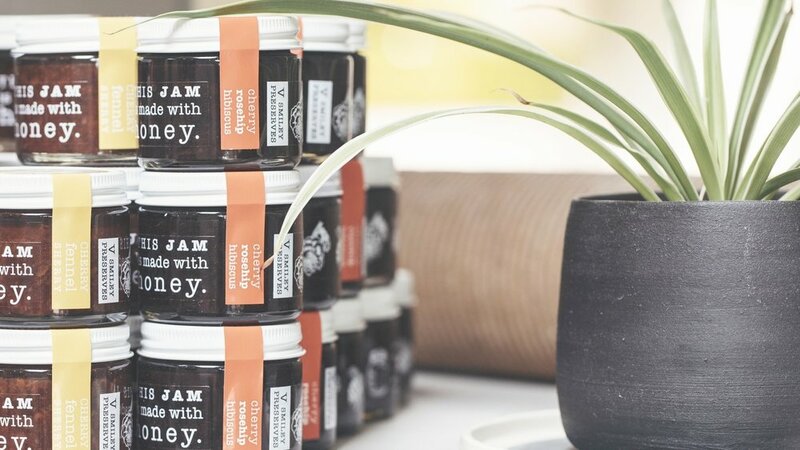 This jam ships to the bakery all the way from the farms of Vermont. Each week, you’ll find a different combination of seasonal flora throughout dining room. Using locally sourced blooms, Sarah Jane brings the beauty of the Pacific Northwest inside. Sourcing beans from the top one percent of specialty grade coffee, Brandywine produces truly unique roasts. Their light roasting method lets the personality of each region and terroir play centerstage.